Companies with Pennsylvania State tax liabilities can support local students through participation in the PA Department of Community and Economic Development’s (DCED), Education Improvement and Opportunity Scholarship Tax Credit Programs. These programs allow eligible businesses to donate to scholarship programs, like POISE, in exchange for PA tax credits of up to 100%. *Learn more about the program, tax credit rates and application deadlines at DCED’s website. 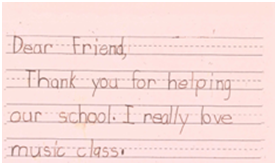 Since POISE began participating in this program in 2003, we have used donations from our corporate partners to provide over $1,300,000 of scholarship assistance to more than 2,200 Pre-Kindergarten through 12th grade students. These students attend more than 60 schools in the Greater Pittsburgh Region. POISE seeks new partners to support the hundreds of families that apply for scholarships, annually. Contact our development staff if you’d like to discuss how your company can support POISE and the students we serve through this tax credit program. Companies may also support POISE through event sponsorship, donations to POISE programs and operations, in-kind services, grants to support our Fiscal Sponsorship Partners and volunteer opportunities. Contact our development staff to learn more about ways your company can help families and communities in the Greater Pittsburgh Region and beyond, through partnership with POISE.